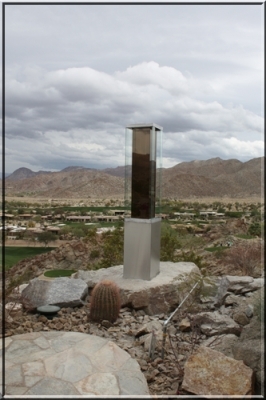 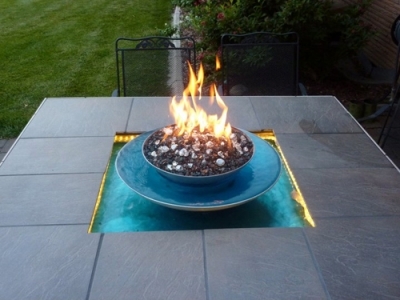 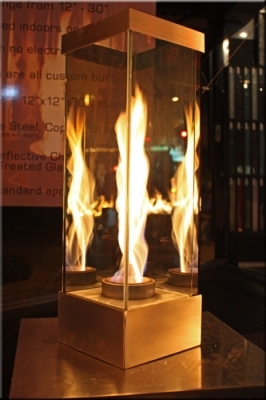 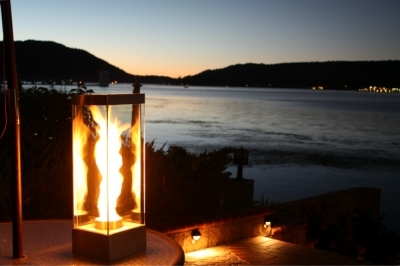 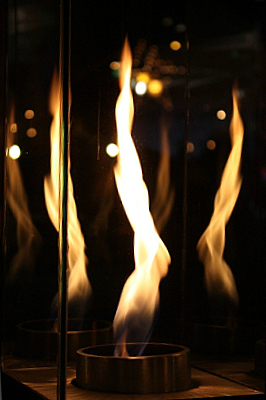 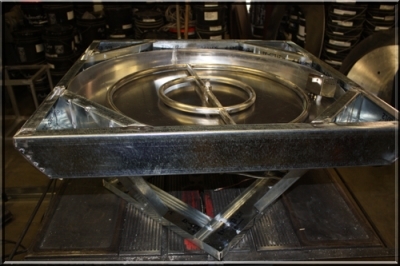 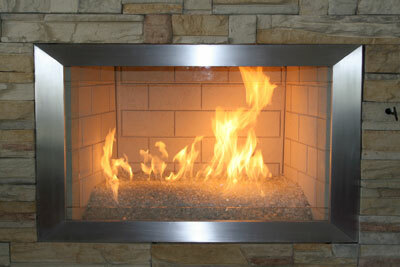 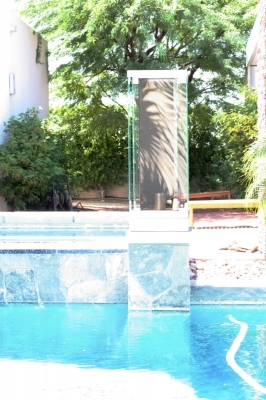 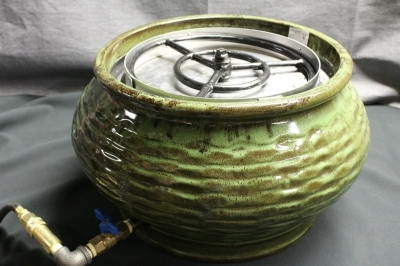 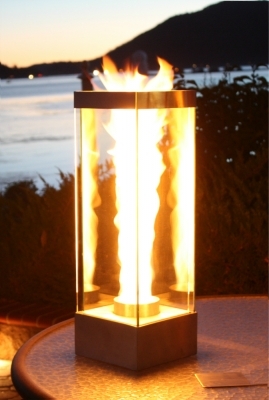 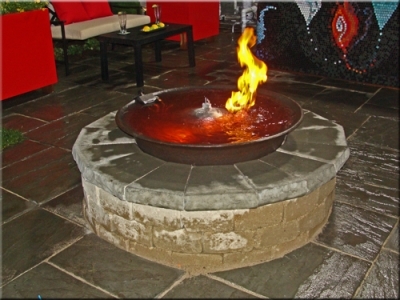 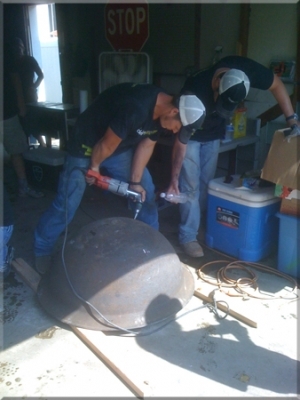 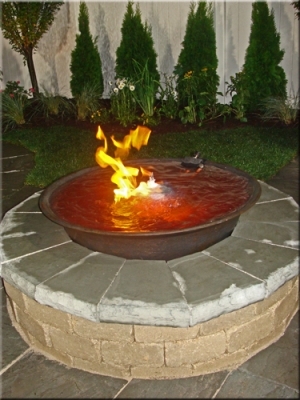 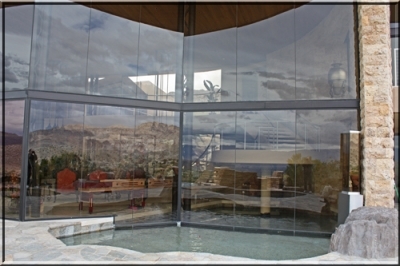 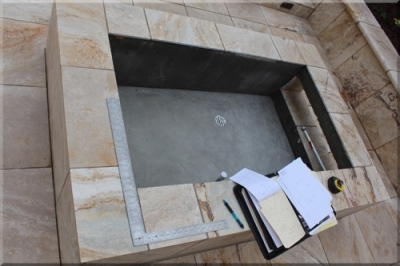 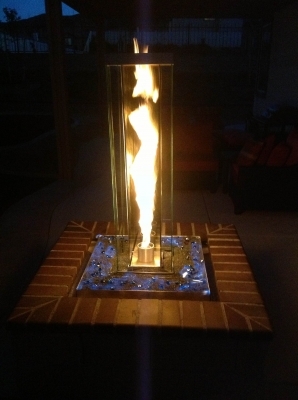 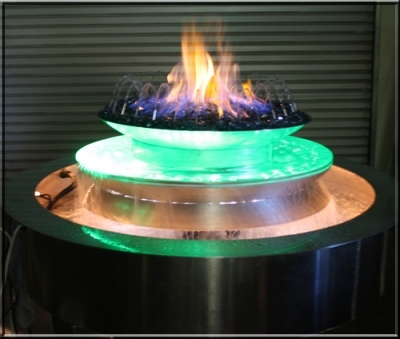 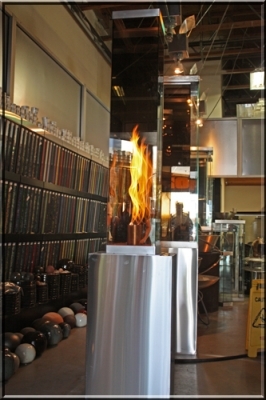 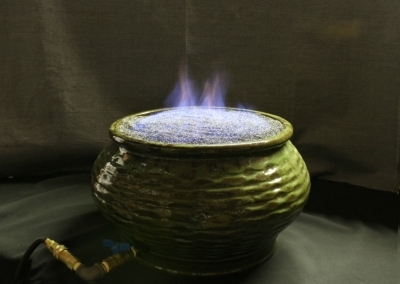 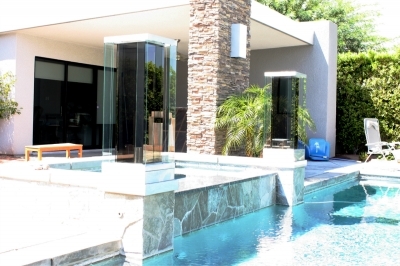 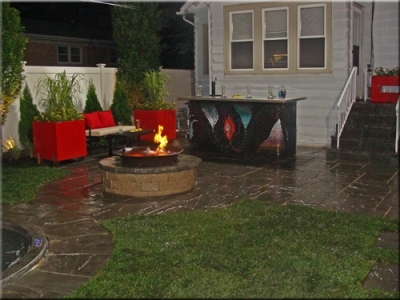 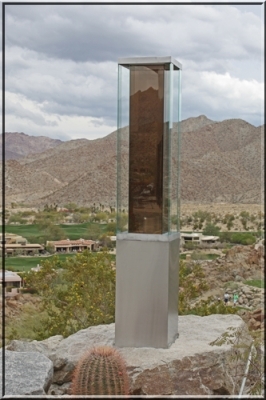 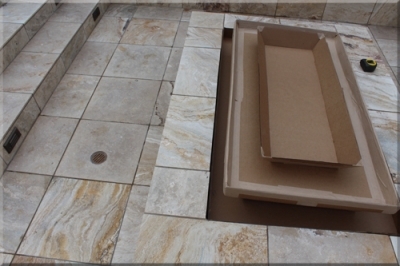 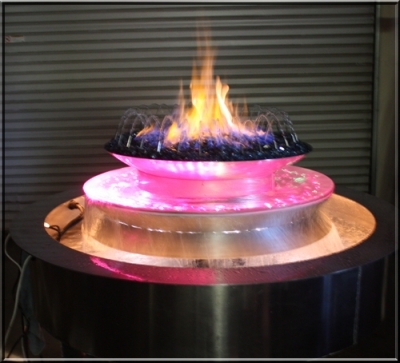 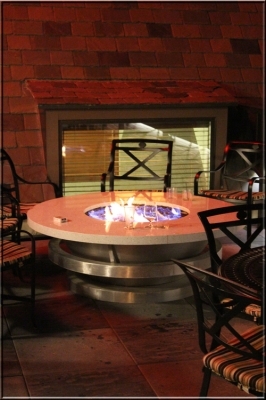 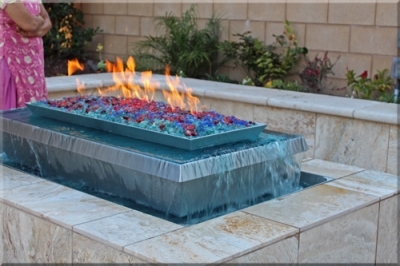 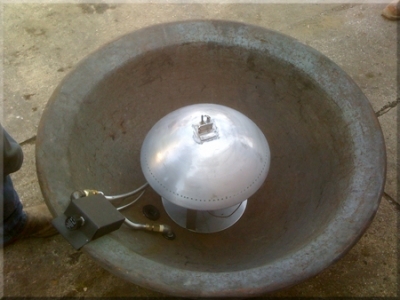 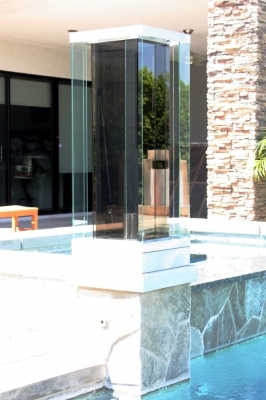 Outdoor Fire Feature, custom metal fabrication, fire in glass features propane or natural gas. 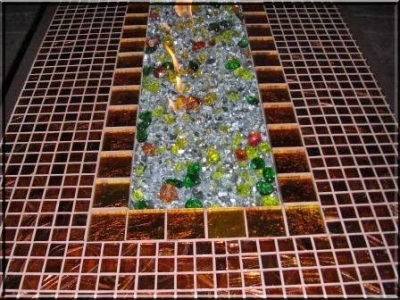 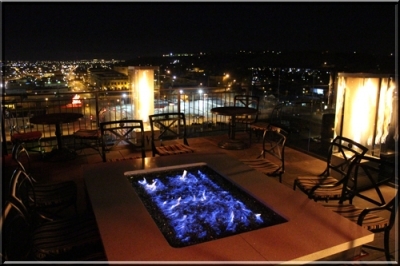 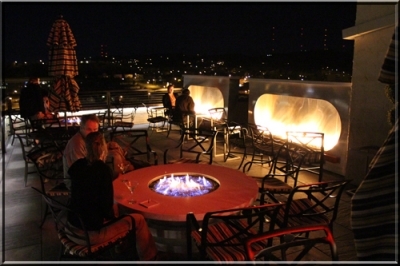 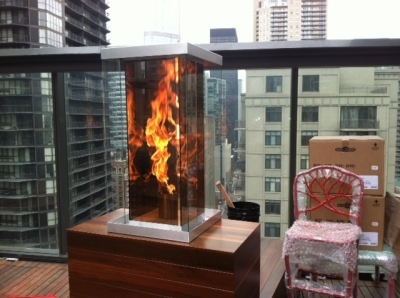 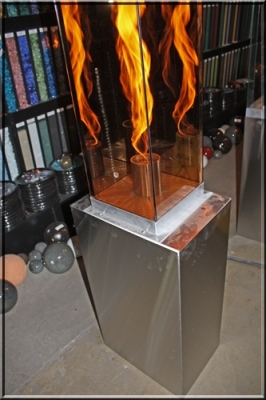 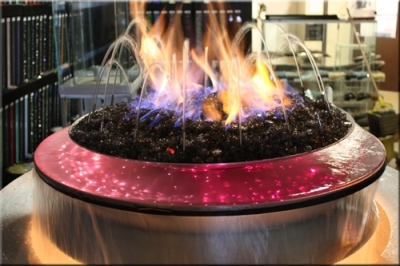 Below are just a few pictures of a series of custom fire features we created for the Alex Johnson Hotel. 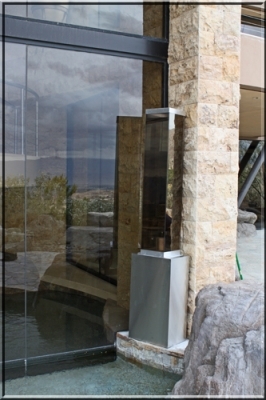 All these custom outdoor features were for their private Vertex club. 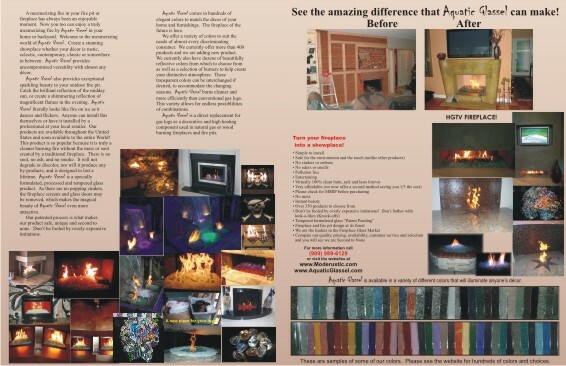 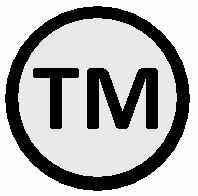 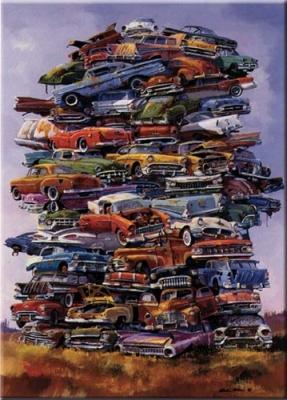 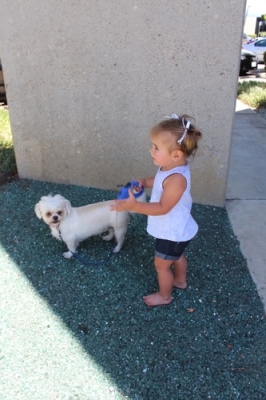 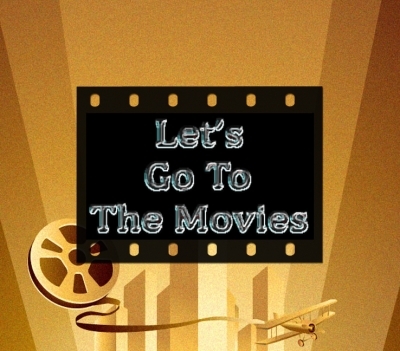 Click here to see all the pictures. 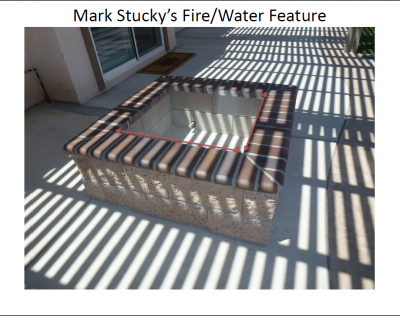 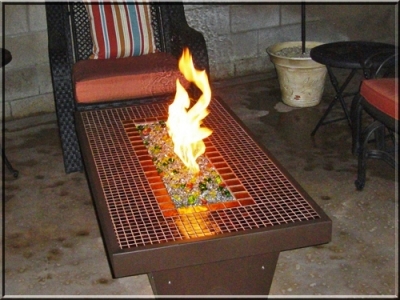 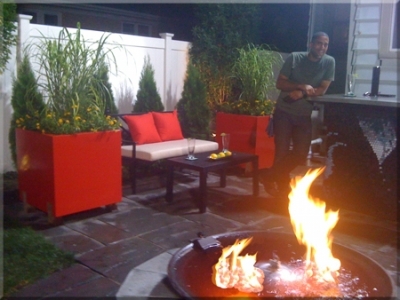 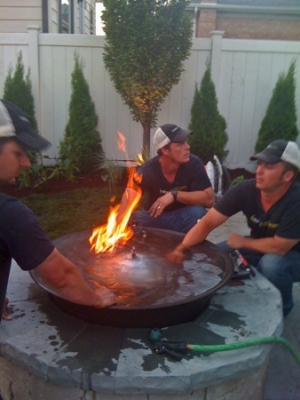 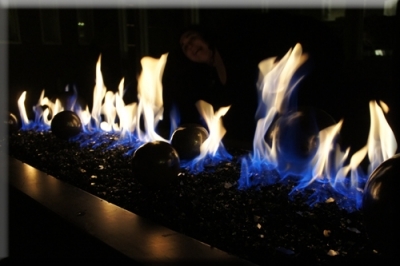 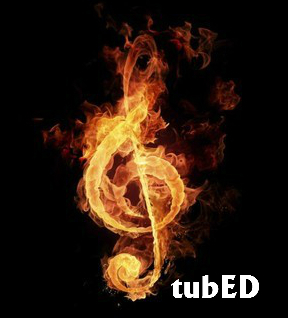 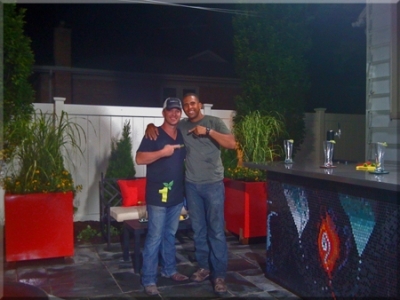 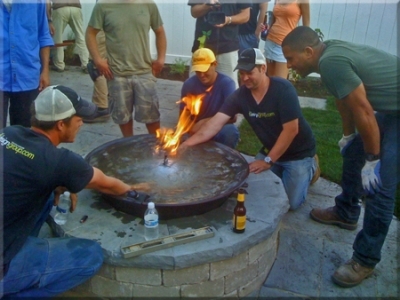 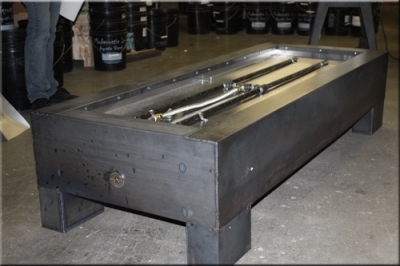 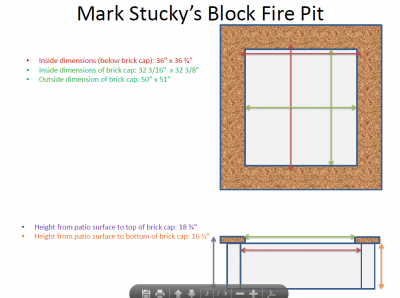 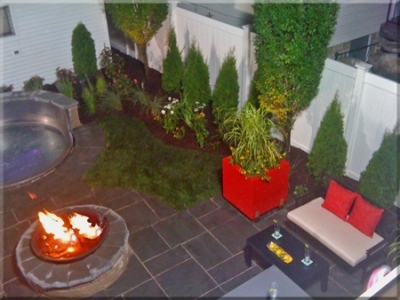 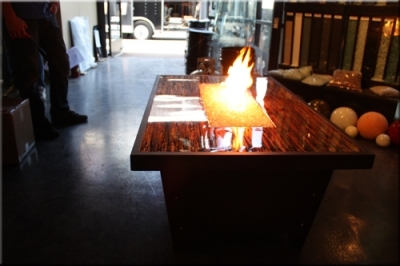 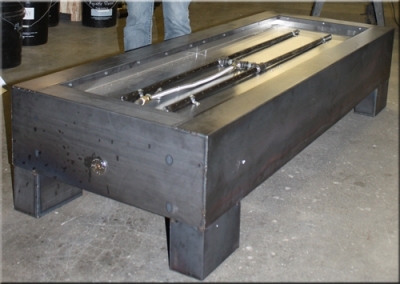 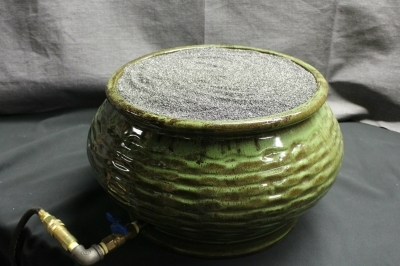 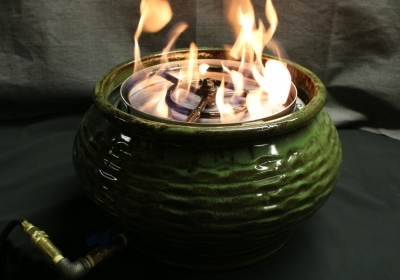 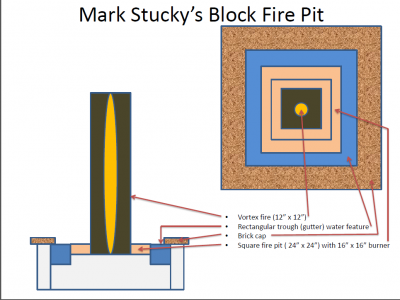 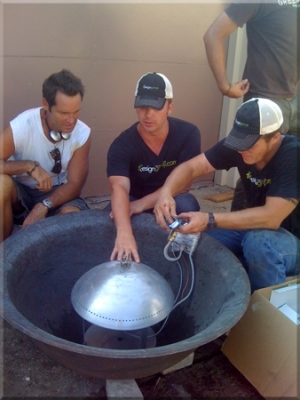 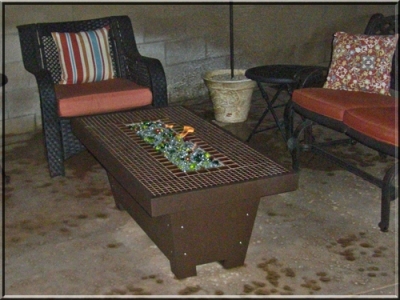 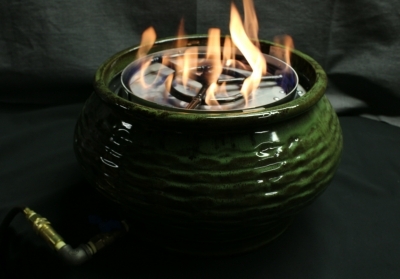 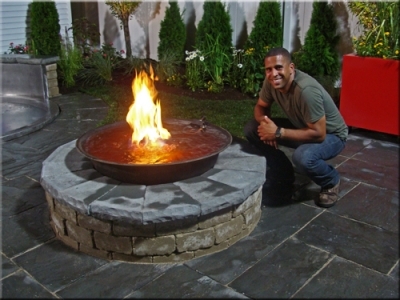 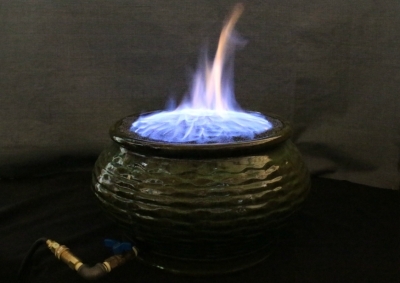 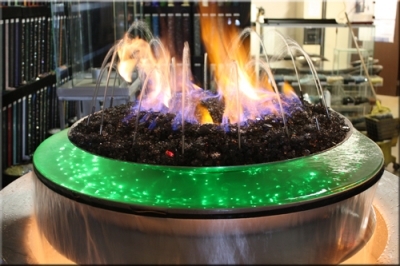 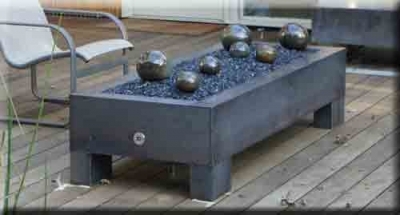 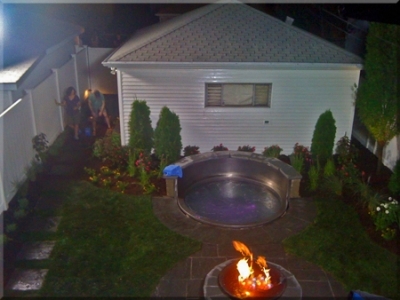 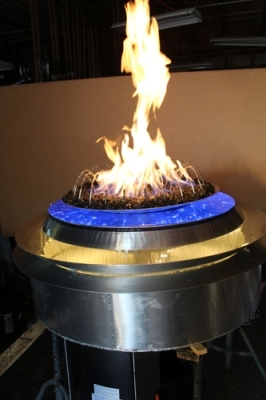 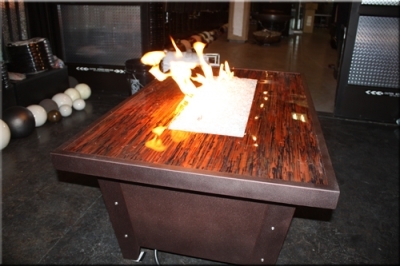 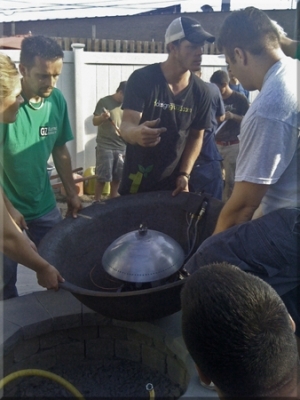 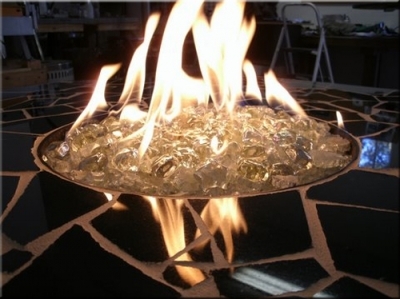 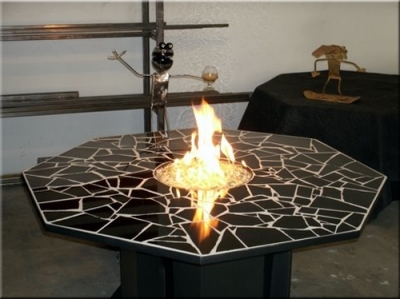 Paul Hammel one of our clients from San Fransisco had a very particular design idea for a portable outdoor fire table. 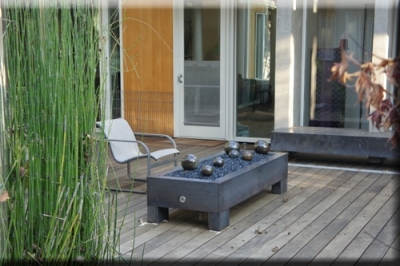 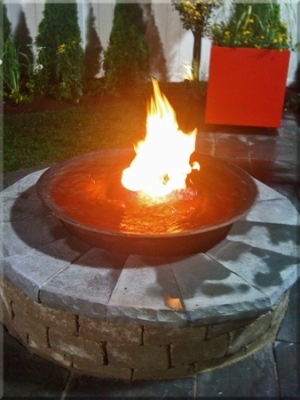 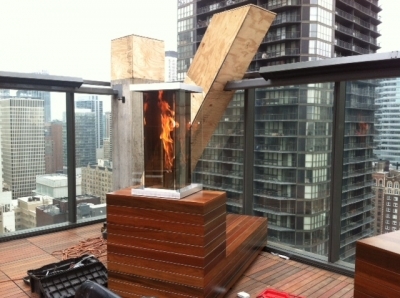 Made of Corten Steel/ Metal and fueled by natural gas this modern outdoor fire feature is both industrial and stylish.